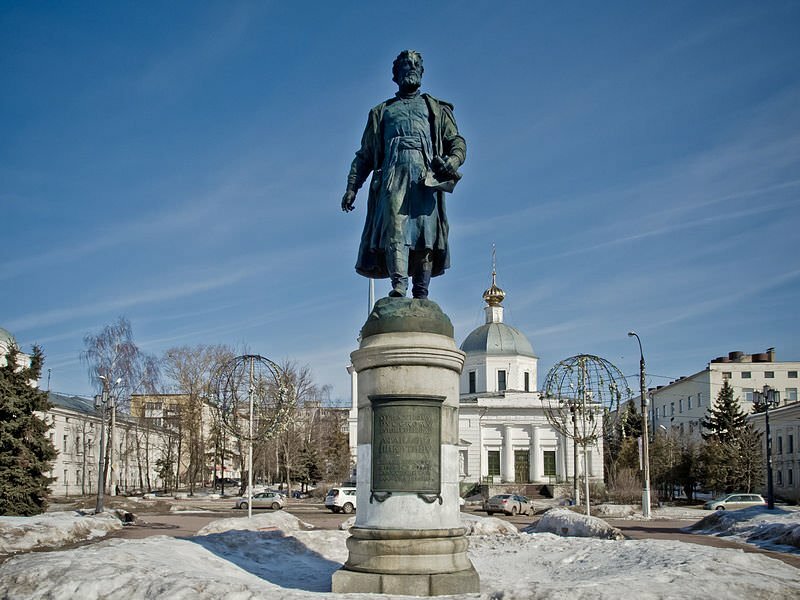 Introduction: Russian merchant Afanasii Nikitin offered the following advice to fellow Russian traders: “And so, my Christian brothers of Rus’, those of you who want to go to the land of India must leave their faith in Rus’ and invoke Muhammed before setting out to the land of Hindustan.” Nikitin departed from Tver’, Russia, in 1468 in hopes of trading furs in the north Caspian region. He traveled as part of a group of private Tver’ merchants who regularly ventured along established trade routes. Near Astrakhan, however, his party unfortunately fell prey to a Tatar attack, and Nikitin lost all his goods. Shortly thereafter Nikitin made the decision to venture through Persia and then on to India in hopes of recouping his losses. On his return to Russia in 1475, Nikitin died near Smolensk before reaching home. Although nothing is known about Nikitin’s life before his journey, Nikitin is remarkable because he kept an account of his expedition in a text subsequently titled Voyage Beyond Three Seas. This account occupies a unique place in Russian historical and literary studies because it was quite unusual for a Russian merchant to travel the distance Nikitin traveled and even more extraordinary for a merchant to document his journey. Furthermore, Nikitin recorded his personal thoughts and feelings, offering scholars a glimpse into heart and mind of a common medieval Russian. The historicity of Nikitin’s account has not been questioned, and Voyage remains an integral part of both Russian and Indian historiography. Even though Nikitin’s original notes have been lost, Russian scribes preserved his account in several texts and chronicles (or annals), which contained a variety of historical events as well as heroic deeds and legends throughout medieval Russian history. Most likely, Nikitin began writing his notes in India following a two-year stay in Persia. He ﬁnished writing his account in Kaffa on the Black Sea before he died. His fellow merchants carried back his original notes to Moscow and turned them over to the clerk of Tsar Ivan III in 1475. Voyage then found its way into several Russian chronicles during the late fifteenth, sixteenth, and seventeenth centuries. Nikitin’s notes were discovered by the Russian historian N. M. Karamzin in 1817 in the archives of the Trinity St. Sergius Monastery outside Moscow. Since that time, several scholars have speculated on the signiﬁcance and importance of his journey, debated the dates of his travels, and argued whether or not Nikitin converted to Islam.